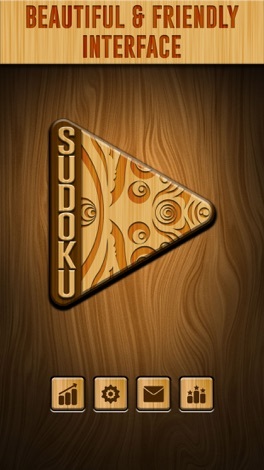 If you're looking for the best Sudoku app, Sudoku Wood Puzzle is a brilliant choice for you! SUDOKU WOOD takes the most soothing colours of wood and incorporating them into gorgeous, modern Sudoku puzzle which brings a sense of calm and tranquillity. No matter how busy your life is, SUDOKU WOOD offers a relaxing way to take a break from the world around you. • Play anytime, anywhere: Whether you’d like to relax or keep your mind alive and active. • Use Note Taking Mode to keep track of possible numbers. Each time you fill in a cell, notes are automatically updated! • Highlight duplicates to avoid repeating numbers in a row, column and block. • Hints can guide you through the points when you are stuck. You can use them or complete the challenge without help – it’s up to you! • Perfectly balanced difficulty levels from beginner to expert: Very Easy, Easy, Medium, Hard and Very Hard. Choose any level you like. 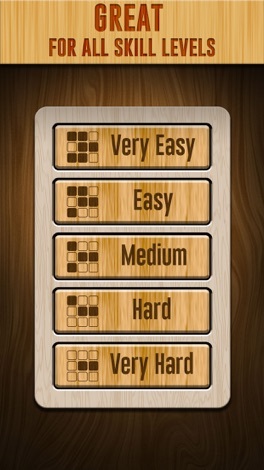 Play easier levels to exercise your brain or try expert levels to give your mind a real workout. • Useful statistics to keep track of your progress. 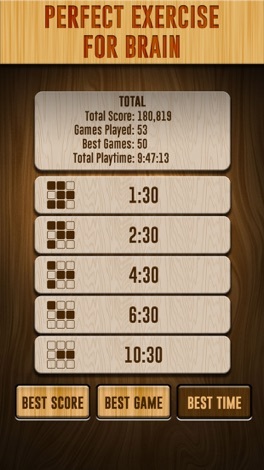 What is your best game with the best time? SUDOKU WOOD is fun for all ages, for beginners and advanced players. Sudoku can even be more fun for parents to play with your children, teaching logical skills and helping your child feel a sense of accomplishment with each puzzle solved. Sudoku (数独) is a logic-based, combinatorial number-placement puzzle. The objective is to fill a 9x9 grid with digits so that each column, each row, and each of the nine 3x3 subgrids that compose the grid (also called “boxes”, “blocks”, or “regions”) contains all of the digits from 1 to 9. The American Alzheimer’s Association has endorsed Sudoku as a “brain game” that might help reduce the risk of Alzheimer’s disease, and some researchers believe that playing mentally stimulating games and puzzle games like Sudoku might be a good way to reduce our risk of dementia as we get older. 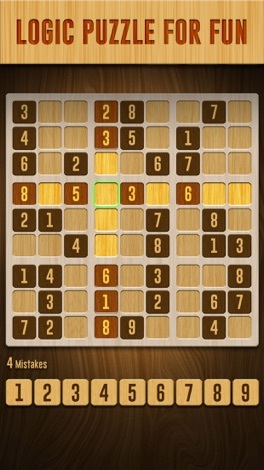 Train your brain with SUDOKU WOOD anywhere, anytime! Stick a selfie to the real world using Augmented Reality!